Captain Shay was raised on the water, commercial fishing with his grandfather. 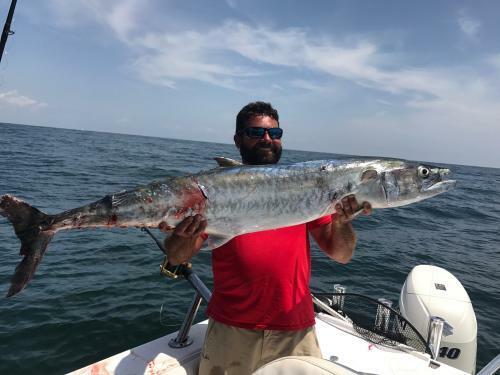 He has combined two of his favorite things to do by creating Islands and Tides Charters: fishing and showing people a great time. We offer many types of fishing for you and your group. 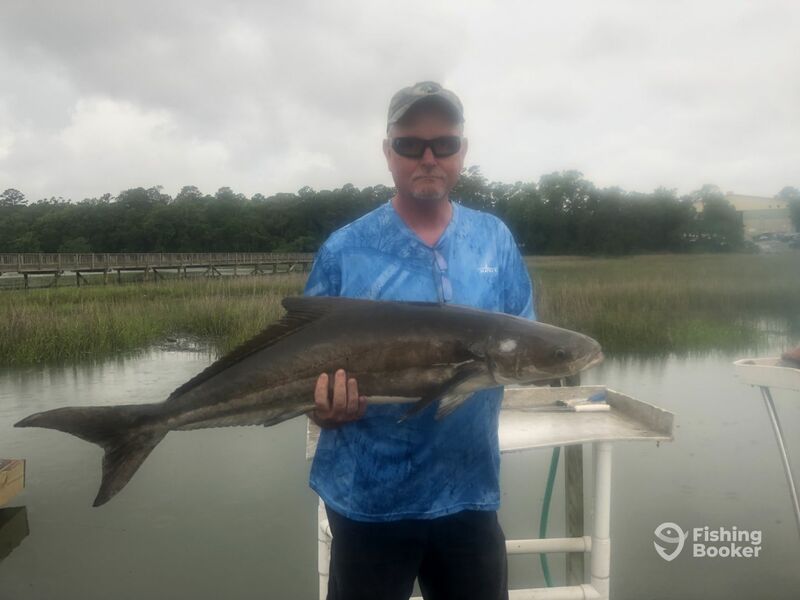 We offer Inshore fishing, nearshore fishing, and offshore fishing. 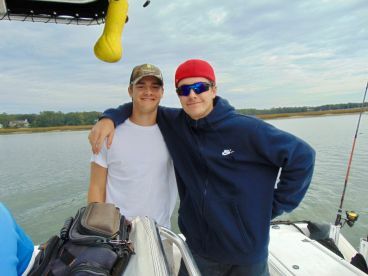 We offer trolling, bottom fishing, top water fishing, jigging and gigging. Excellent 3 hour fishing experience. 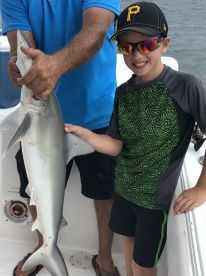 I booked the 3 hour trip since my daughter and grandson had never been fishing on a charter and did not know how they would do. They both loved it we caught several small sharks 2 fairly big sharks that put some fight and a couple of whiting’s. I told Captain Shay that we want to see some dolphins and go some where that would have a good chance of catching something. He did and excellent job of filling both request. There were three dolphin that hang out around the marina and several were seen during trip. 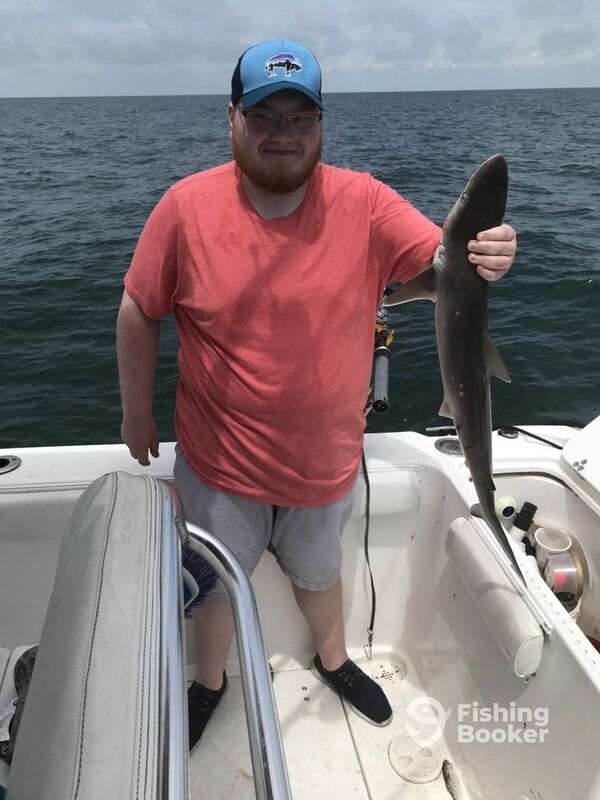 A short trip to the fishing spot were after just a few minutes we a caught the first shark. My grand son did not want to hold the first one but by the time he caught the 3rd he was comfortable enough to hold it all by himself. While we did not bring anything home we all had a great time and will do this again next time they come visit. Captain Shay was excellent with Tadan (8) and told me an my daughter how to properly bring fish in. We all had a great time and even got to see Captain Shay get startled when a large turtle surfaced right nest to boat. Capt. Shay did a great job. He was very professional and enjoyable throughout the trip. He was flexible with helping the kids to make sure they had an enjoyable trip. 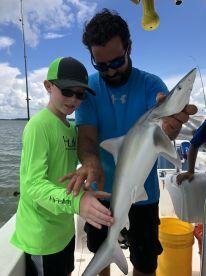 We stayed in-shore for the kids, but he was able to place us in a location where we had some great catches. Two rather large catches a red drum and black drum along with numerous crockers, small sharks etc. We even enjoyed several dolphins following us during the trip. Capt Shay also was very knowledgable about Hilton Head which was great. We would highly recommend. Captain is a great guy. The trip with him was awesome. He had everything to catch anything. 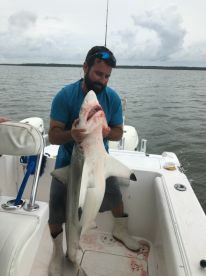 Caught some sharks, blues and a 70lb ray! Would definitely fish with him again. The charter was a birthday gift for my son in the red hat who is turning 17 this week. He brought a friend and my 20yo daughter and her friend joined them. Captain Shay was awesome with the 4 kids. Sure they caught some fish but they had a dolphin follow them and awesome memories to always treasure. Worth every penny!